Plucky and romantic Alice tries to rise above the crudities of her hopelessly shabby background in this Pulitzer Prize-winning classic about ambition and self-delusion. The lower-middle class Adams family faces a slow disintegration in a small Midwestern town. Alice, a social climber, is ashamed of her unsuccessful family and determined to distinguish herself. Lacking the social props she needs to shine in society, Alice attends a dance and lies about her background, hoping to attract a wealthy husband. But in the end, her high aspirations must be tempered by the reality of her situation. 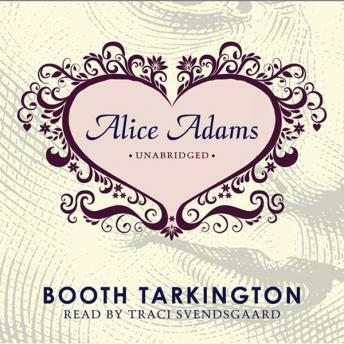 Alice Adams's resiliency of spirit makes her one of Tarkington's most compelling female characters.